The 1980s and 1990s there were many process improvemenrs and techniques techniques like Six Sigma, lean, just in time, etc. Many companies have adopted and reaped the benefits of these techniques. Now technology innovations are beginning to drive new levels of efficiency, performance, and productivity. Cloud computing, Mobile, IoT, AI, and other emerging technologies are becoming a major accelerators to digital transformation in companies. With digital twin, we are going to revolutionize the world and how connected people, things, and processes can help in efficiency, safety, and productivity. Data is going to be most important for making intelligent and critical decisions. Based on the type of IoT connected, speed and accuracy are going to be very important – here comes “edge computing.” Edge computing is the processing and analysis of data along a network edge, closest to the point of its collection, so that data becomes actionable in real time without any latency instead of processing in the cloud. Edge computing is not a new concept but with cloud computing and machine learning it is becoming more main stream. With edge computing, the computing, intelligence, and the storage systems reside as close as possible to the component, device, application or person that produces the data that is being processed. The main reason for the close proximity is to remove processing latency, because the data needn’t be sent from the edge of the network to a central processing system, then back to the edge. This allows for efficient data processing as large amounts of data can be processed near the source itself, thereby reducing internet bandwidth, eliminating costs and allowing applications to be used in remote locations. This also helps in security as there is not interaction with any public cloud. Edge devices can be laptops, sensors, smartphones, gateways, etc. 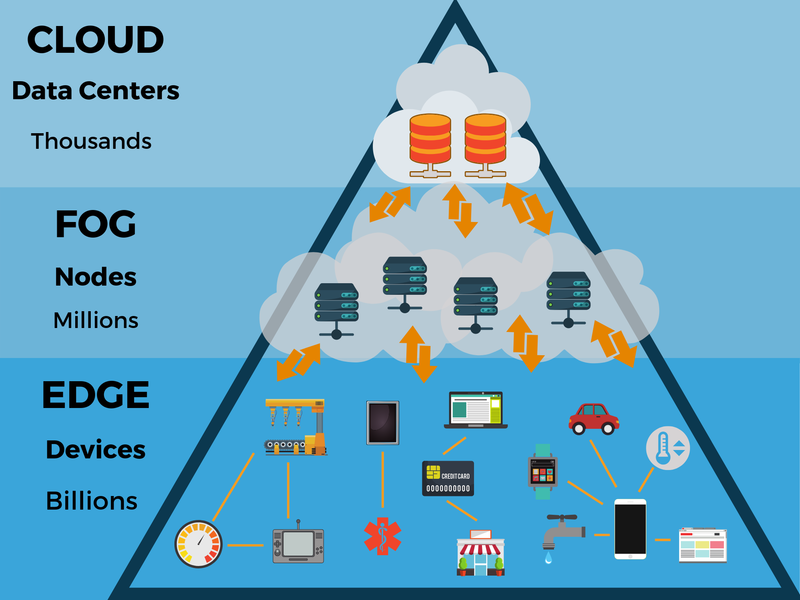 Where can edge computing be used? Edge computing can be deployed in various circumstances. Autonomous vehicles, Rich web content delivery, Internet of Things, Software as Service, Voice Assistants, Predictive maintenance machines or services, Traffic Management, etc. All of these need real time data processing and reduced latency. In any use cases that have to do with latency-sensitive processing of information, Edge computing would be the best solution because data does not have to traverse over a network to a data center or cloud for processing. What does this mean to cloud? This does not mean cloud is getting obsolete. Cloud computing is still going to play a big role in digital transformation. Cloud computing will take a more dominant position when actions require significant computing power, managing data volumes from across plants, asset health monitoring, and machine learning, and so on. The bottomline is that cloud and edge are both necessary to gain the most value from the sophisticated, varied, and volume of data applied across cloud and edge, wherever it makes the most sense to achieve the desired outcomes. As the Internet of Things evolves, the rise of edge computing becomes inevitable. We need to start thinking how does edge computing fit our digital strategy and start building the implementation roadmap. Its time for a strategic consultation!